For many Americans, the Mariel boatlift will forever be associated with the movie Scarface; the 1983 classic about a Cuban refugee named Tony Montana, who as we all know, came in search of the American Dream and found it on the sun washed avenues of Miami. Although there is a lot of truth in that movie, not to mention loads of controversy over the negative image it gave Cuban exiles, the story of Mariel is much more complex than that. 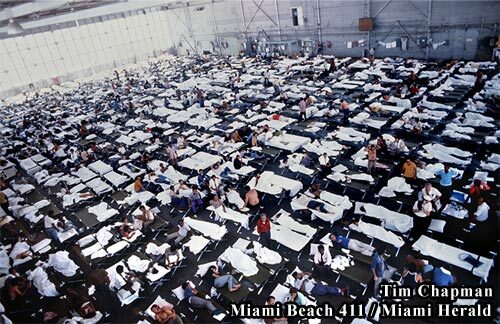 It is true that Castro opened his jails during the 1980 exodus, flooding Miami’s streets with criminals, drug addicts and mentally unhinged people, which contributed to Miami’s skyrocketing crime rate and helped it become murder capital of the world by 1981. But it’s also true that once the killing subsided and once the majority of the criminals were either imprisoned or dead, the majority of the Marielitos settled into American society to live law-abiding lives. They became college graduates. Business owners. Doctors. Lawyers. Engineers. One even became a Pulitzer Prize winning journalist. Not bad for a group of immigrants who were called escoria by the Cuban exiles already living in Miami, a word that literally means scum. As we enter the 29th anniversary of the historical boatlift, which took place between April 15 and October 31, 1980, the word escoria has virtually been eliminated from the vocabulary of Miami’s Cuban population. “I didn’t speak a word of English when I came to Miami,” said Mirta Ojito, who was 16 years old when she arrived from Mariel with her family. Today Ojito is a published author who teaches journalism at Columbia University in New York. She also shared a Pulitzer Prize for national reporting in 2001 for a New York Times series of articles about race in America. 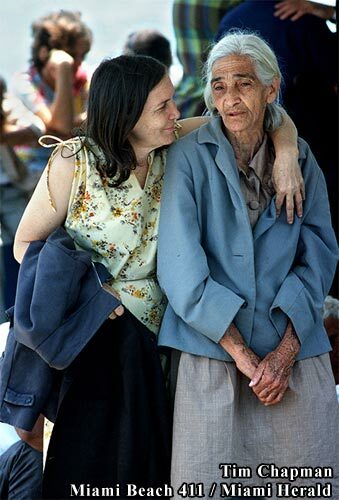 In 2005, on the 25th anniversary of the boatlift, she celebrated the publishing of her first book, Finding Mañana: A Memoir of a Cuban Exodus, which is a personal account of the events surrounding the historical exodus. Ojito was one of 125,000 refugees who landed in South Florida during the Mariel boatlift, which lasted five months, and changed the landscape of Miami for the next three decades; culturally, politically, ethnically and linguistically. 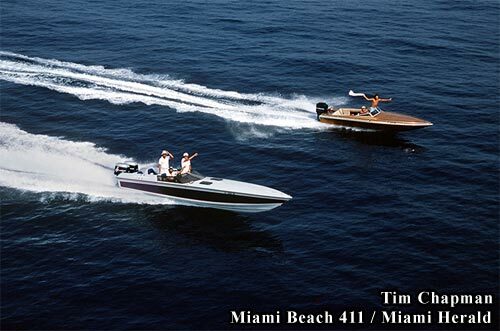 The boatlift not only contributed to Jimmy Carter’s failed presidency, it sparked a wave of “White flight” from Miami; helped turn the Miami Police Department into one of the most corrupt law enforcement agencies in the nation; and created severe racial tensions within Miami’s black community from which is still has not recovered. “The new Cubans were given preferential hiring when they arrived,” said Marvin Dunn, a historian and retired Florida International University professor who wrote the book Black Miami in the Twentieth Century. Nevertheless, the Mariel boatlift reunited thousands of Cuban families who had been divided by communism; was one of the factors that lead to the revitalization of the Art Deco district in South Beach; and proved that Miami was one of the most resilient cities in the United States. And like many events that changed the course of history, it began with a single act of dissidence. On April 1, 1980, a Cuban named Hector Sanyustiz drove a bus through the fence of the Peruvian embassy in Havana and demanded political asylum, along with four other Cubans who had crashed the gates with him. This incident led to more than 10,000 Cubans converging upon the Peruvian embassy, demanding asylum by Easter Sunday. Embarrassed at the prospect that his revolution was unraveling at the seams, Fidel Castro announced he would open the port of Mariel to anyone wishing to leave Cuba, as long as they had someone to pick them up. Within hours, Miami Cuban exiles began heading to Mariel on any boat they could find, thus beginning one of the largest exoduses in history. By the end of May, more than 94,000 Cubans had arrived in the United States. And by the end of September, 125,000 Cubans had arrived. And before the year was over, Miami had seen its murder rate more than double. And by the end of 1981, Miami had a highest murder rate in the world two years in a row, according to a 1987 New York Times article. However, this spike in crime cannot be blamed solely on the Marielitos. After all, it was the Colombian cocaine cowboys who turned Miami into the OK shooting corral a year before the boatlift by committing mob slayings that left anybody within shooting range riddled with bullets. Also, one month into the boatlift, one of the bloodiest race riots in the history of the United States broke out in one of Miami’s black communities claiming 18 lives after an all-white jury acquitted four white police officers in the beating death of a black ex-marine named Arthur McDuffie. But it cannot be denied that a certain percentage of the Marielitos were hardened criminals who ended up inhabiting South Beach, turning it from a Jewish retiree haven into a beachside ghetto. Then came Scarface. Then came Miami Vice. And then, ironically enough, came the European tourists who were drawn by the glitz and glamour depicted on Miami Vice. And then, and only then, did officials finally begin revitalizing Miami Beach’s Art Deco District during the late 1980s, even though a woman named Barbara Capitman had been trying to get the ball rolling years before that. Several studies and estimates have been done to determine the exact number of criminals and ex-cons that arrived in the boatlift, with numbers ranging from as low as 7,500 to as high as 40,000, depending on the personal bias of the researchers. And Oliver Stone wrote that “an estimated 25,000 had criminal records” in the opening credits of Scarface. But the most accepted figure comes from a 1991 Congressional report that estimates roughly 10 percent of the 125,000 refugees were released from Castro’s jails and mental institutions – about 12,500 undesirables that ended up giving all the Marielitos a negative image at the time. Ojida blames much of the negative backlash on the media at the time, which she accuses of highly exaggerating accounts of criminals arriving on the boatlift. “Castro was sending criminals but he wasn’t sending as many criminals as the media was saying,” she said. In the article, journalist Edward Schumacher described the Happy Valley as a 70-foot fishing boat crammed with 200 Cubans, many of them toothless who had either been released from jail or the mental institute. He also reported that “200 common criminals” were set to arrive in Key West on another boat containing 420 refugees. While it could be argued that the reporter was falling into the xenophobia trap that was overtaking many journalists at the time, Schumacher, born in Colombia and now an ombudsman with The Miami Herald, is hardly a xenophobe, judging by an editorial he wrote last year where he states that he is “sympathetic to illegal immigrants”. And whether the numbers of the Mariel criminals were exaggerated or not, the Miami Police Department found itself completely overwhelmed by the rampant crime increase in the city during the early 1980s. At the time, the police department was mostly Anglo and was not only dealing with serious mistrust issues with the black community in the wake of the McDuffie riot, it was also suddenly confronted with a huge language barrier with the new arrivals from Mariel. So the police department embarked on a major hiring frenzy where it almost doubled the number of officers. They didn’t even have time to train the recruits properly. Many of these cops were criminals themselves, partaking in drug rip-offs and home invasions and turning the Miami Police Department into one of the most corrupt law enforcement agencies in the country. In 1985, more than 100 officers were arrested, fired or disciplined for their involvement in the Miami River Cops case; an incident where officers raided a drug boat on the river to steal 400 kilos of cocaine, scaring the dealers into jump in the river, where they drowned. In another incident that year, $150,000 in cash went missing from a safe inside the police department, a case which remains unsolved. The truth is, the Mariel boatlift caught everybody off guard in Miami; journalists, police, politicians, blacks, Anglos and even Cuban exiles. 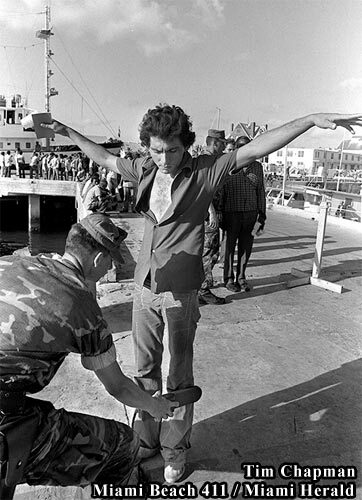 The Cubans who had arrived on the boatlift were different than the exiles that arrived in the 1960s because they had been living under communism for two decades. These were not the middle-class Cubans who fled in the early 1960s and they were hardly the upper-class Cubans who fled in the late 1950s. Like everybody in Cuba, they belonged to Cuba’s lower economic class because that is where Castro’s revolution forced them to be in his quest for an egalitarian society. So it became an instant culture shock when 125,000 poured into Miami in a five-month period seeking streets paved with gold. “A lot of the Cuban exiles felt embarrassed because they had worked so hard to gain acceptance and build their reputation, and these guys come along with their reputations of criminals and mentally ill patients and set everything back,” said George. For years, the common term for the Marielitos within the exile community was “escoria”, which means “scum”. According to US Census reports, non-Hispanic whites accounted for 48 percent of Miami-Dade County’s population in 1980. By 1990, only 32 percent of the county’s population was non-Hispanic whites. “Many of these Anglos had southern roots and were intolerant to new languages,” said George, who was born in Miami during the 1940s and now lives in Little Havana. And, of course, there was the lingering effect the boatlift left on the black community, most who could not afford to leave Miami for northern pastures. But Dunn, who has lived in Miami since 1951, now advises fellow blacks to learn Spanish. 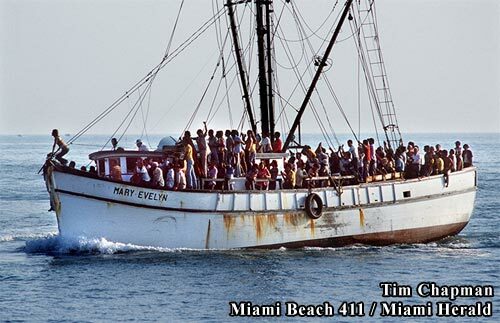 And through all the chaos and resentment and violence that threatened to sink Miami during the 1980s, the majority of the refugees quietly assimilated into Miami. These Cubans, who had not experienced a day of democracy for two decades while living in Cuba, enabled Miami’s Cuban exile population to gain a stranglehold on local politics, which they have yet to relinquish. By 1985, with the help of thousands of new voters, Miami elected its first Cuban born mayor, Xavier Suarez. But he was removed from office in 1998 for his involvement in a fraudulent election, but that is another Miami story altogether. 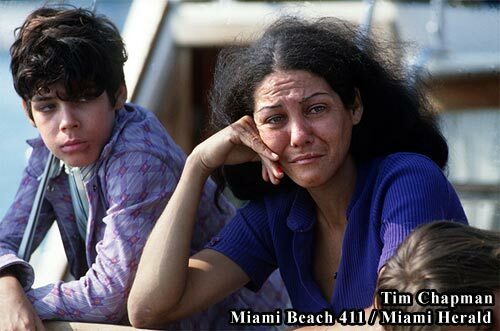 About the photographs: Tim Chapman is a longtime veteran photojournalist for The Miami Herald. To find out more about the man behind the lens, read this profile by local blogger Random Pixels. Carlos Miller is a featured writer at Miami Beach 411. He also operates Photography is Not a Crime, a blog about photographer rights, New Media and First Amendment issues. See more articles by Carlos Miller. "Fleeing Cuba For a Better Life in USA"
Great article Carlos. It explains many of the attitudes you still hear concerning Miami from Anglo’s else where in the US. I was in middle school during Mariel, and helped produce and direct a WLRN program about the 25th anniversary. Regardless of the class or economic status of the refugees from Cuba, No community can withstand the influx of 125,000 people in 6 months, and not be permanently affected by those events and people. Miami would not be the international city it is without Mariel. How could you blame these people for wanting more, for wanting freedom? Yes, Mariel changed South Florida but you could say the same for Texas and California with the Mexican immigrants crossing over on a daily bases. At this point the number of illegal and legal Mexican immigrants has exceeded 125,000 people by far. But this is the way the United States came to be. So, now we just need to figure out how to get them to pay taxes for there luxury of freedom. What about the haitian that come here? 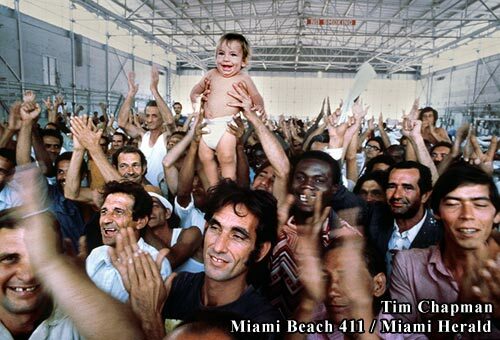 Why are they treated differently than the cuban arriving to Miami? The white foot,black foot policy is nothing but racist. Fifty people in a thirty foot vessel. How can I convey the loss and human toll? Just fifteen yards shy of freedom’s caress? Pitching them into the sea. Have become a part of me. In my youth it was my calling. Are the screams of the drowning and dying. And to what ends I ask? But this is one who has never forgotten. And I shall never forget. I don’t understand why people feel that just because there is a black president racism is dead. A lot of the preferential treatment mentioned in the article is still prevalent, rampant, and blatant today as 29 years ago. I find it convenient that a lot of CUBANS can claim that racism is dead because they benefit from a corrupt society in south florida. Half of what goes on in Dade county isn’t even allowed in Broward, let alone other states. I am not saying that Cubans haven’t assimilated successfully, but let us not be blind to the injustice done to the black communities of Miami in the past and still today. The haitians are sitting in camps waiting to be deported whereas the Cubans, under the guise of political oppression, are able to get grants, Medicare, fully funded education, etc that not even Americans who have paid into the system are able to access. You go research Haiti’s political history and you will learn you don’t have to be under communist regime to qualify as a refugee. Cubans benefit because of the US’s ingrained fear of communism; a little known conflict under the name of the Cold War may help you in your need to be informed. There are a lot of republics whose citizens deserve the same immunity granted to Cubans. It is not souvi living under a rock…it in fact is probably you cj dillin. I’m sure there were/ are many good people who came to America with the Mariel Boatlift, however, several who came to Eglin AFB Florida, were criminals (Scarface) right off the boat. There was a particular former Cuban soldier who started 4 major drug rings throughout the South, and as a result, my friend, Jimmy Gresham is doing life in federal prison, on his testimony alone. Help me get him out. Thank god I live in Canada. The US prides itself as the defender of freedom, yet it has killed tens of thousands of innocents in wars, which they themselves perpetrated. Yet The US had no spine whatsoever for solving the Mariel problem, which they would have been justified in doing by whatever means necessary, when it came to those Cubans in Miami. Now the US has its just desserts. What a shame and irony that the Miami’s image got elevated internationally as a result of the Cuban influx. So, one must now learn Spanish in Miami? Why? The last time I checked English was the language of the United States. Oh, how could I forget, the language of southern half of the United States has now become Spanish. Where is the Anglo American spine now? Silly me. This is why America is going down the drain. fully funded education…? please let me know because I pay for my own education. Most Cubans do not come to this country counting on what they can get for free. We come here to work hard and make sure our future is a fruitful one. There were no drug addicts on the Mariel boat lift. There were very few mental incapacitated persons. And about criminals Miami was already a breeding land for socially uneducated people that got trapped in an unknown world.